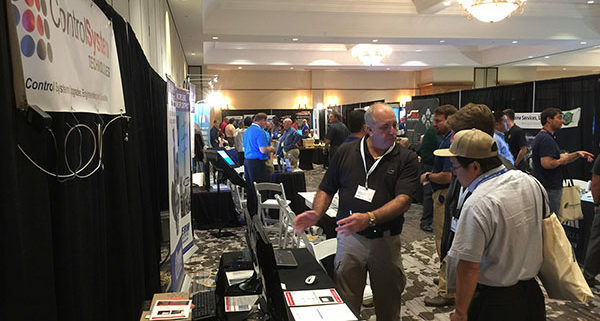 The GE7EA Users Group was held at the World Golf Village Renaissance St. Augustine Resort in Florida this week, with attendance by major players who employ this OEM’s Frame 7 turbines—and Control System Technologies was present to showcase its products and services. 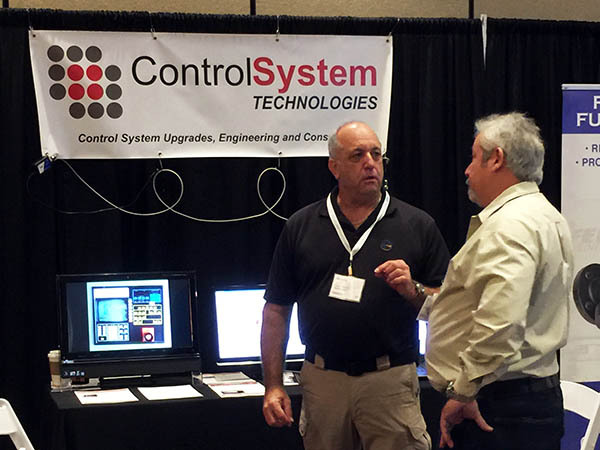 Ron Walker at the CST booth during the GE7EA Users Group in St. Augustine, Florida. Ron Walker, President of Control System Technologies, exhibited his company at the GE7EA Users Group, making the OneVue data analysis software a primary focus of his booth. During the show, he provided a hands-on demo for attendees, many of whom were actively seeking solutions to common challenges in the turbine operators arena. “We have a solution that is not only optimal in helping record thousands of data points—it is also cost-effective because it helps you delve deep into the data and discover trip events and other issues,” said Walker, who is a three-decade veteran of the Power Generation industry. And this is exactly why CST attends these events. OEM tools are not designed to manage through the issues—that is the job of the turbine controls operator, who must use their knowledge and experience to know “what to look for” as soon as there is a problem. With both leads and orders in-hand, GE7EA has proven to be another great opportunity for CST. Modernization and upgrades are not just something you do on a gas turbine and its components. Sometimes you need to look at your own operation and make the important decision to upgrade your own business image. Control System Technologies evolved from Ron Walker’s prior operation (Global Controls) and since its creation, the company has realigned with the opportunities of the Power Generation, Oil & Gas, and Petro-Chemical industries. Furthermore, CST now supports the needs of the Pulp and Paper industry, extending our solutions to other process-engineering sectors. But, how do you tell the story using the same old canvas? The answer is simple: you can’t. The fact is that CST needed to create a new image, using the latest web technologies and digital media, but also maintaining an effective branding across its print and web presence. This is particularly important when working with a demanding industry like Power Generation, where you aim at communicating value effectively without sounding boring or uninteresting. 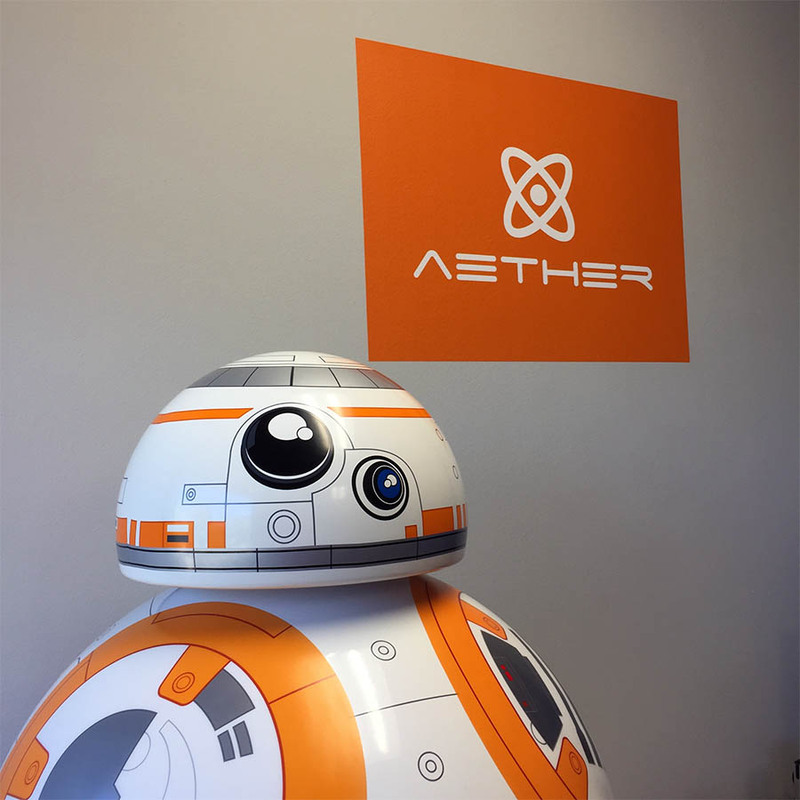 AETHER is an industrial marketing firm working with customers operating in a variety of industrial and B2B markets. And so, Ron Walker of Control System Technologies sought the support of not just a consumer-oriented advertising agency, which are a dime-a-dozen, but of an industrial marketing communications firm specializing in B2B environments. After all, CST does business with industrial companies—not the end consumer motivated by emotional intent. With the help of AETHER Marketing Communications—a marketing communications firm that specializes in working with companies in industrial and B2B markets—the process has begun to take shape. And now CST is starting to show what it can do by communicating its value, performance and quality as an established player in the Power Generation industry. That said, we are excited to share with you our new brand presence during its initial “soft launch” and we will continue to work with AETHER to enhance the way we project Control System Technologies’ company image. Our founder, Ron Walker, and his staff are looking forward to an exciting and successful 2018 and this is just the beginning of many surprises we have in store. Our end goal is to toot our own horn and secure our anchors in the industry—but we also want you, our current and future customers, to have access to information to help you make an effective decision when considering CST as your premier aftermarket turbine controls service provider. Welcome to the new Control Systems Technologies. We want to earn your business by showing you that we are ready for the opportunities and challenges ahead.